I received this book since my wife and I are friends with one of the authors and I was involved with an early draft of her essay. Once I received a copy of the published work, after a few weeks I began to read one or two essays most days and found myself very much enjoying the various aspects of people's relationships with their dog. One aspect which fascinated me was the various perspectives regarding canine "end-of-life" procedures. While all the authors are (fervent?) Buddhists, some felt euthanasia was appropriate and humane, while others declined euthanasia in place of providing a comfortable, loving environment and allowing the animal "to slip away". Because of the shorter life span of dogs, most essays include the author's feelings about the dog's passing. One cannot help reflecting on a dog's death without somehow applying such feelings to the loss of a friend or family member. A common thread (and thus the title of the book) was that each author grew as a person and found insights because of his/her dog and that they saw more in their canine companions than just being a pet. There were variations in the perception that the dogs were consciously providing such insights, or whether it was just the human interpretation of the interaction's effects.In my estimation, some essays were better written than others and some essays spoke to me personally better than others. After reading the biographical descriptions of the authors at the end of the book, it was surprising that I found some of the best written pieces, as I evaluated them, were not written by accomplished or renowned authors. In any regard, I would strongly recommend the book for its content, especially for those who feel an affinity with their dogs. I am not sure this theme would work well with the subject of cats--but I could be surprised. 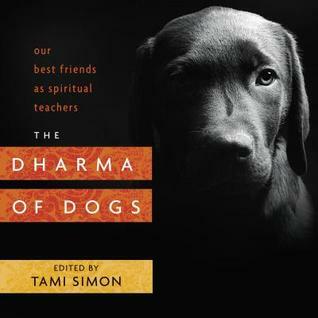 I loved the theme of dogs as spiritual advisers that ran through the stories in this book. My favorite story, written by JP Sears, was told from the perspective of his dog Zephyr and it had me repeatedly in stitches. Literally laugh out loud funny and ensured the book could get no fewer than 4 stars from me (it was a 6-star story!). Too many of the other stories, however, delved too deeply on the death of the writers' dogs and I found many of them to be tear-jerkingly difficult to read. I wish there had a been a better balance between Zephyr stories and dog passing stories, but that's my only complaint. Many of the stories left me pondering interesting life lessons and I appreciated that aspect of the book. Definitely worth a read if you love dogs and are at all spiritual in nature.